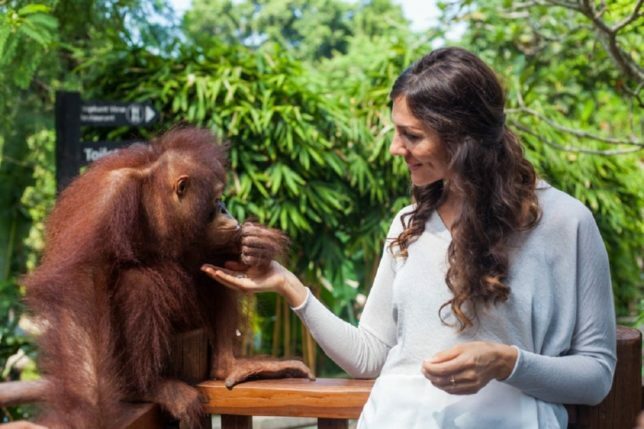 Breakfast might be an everyday thing, but having breakfast with Orangutans? Now that would be a one-of-a-kind experience! 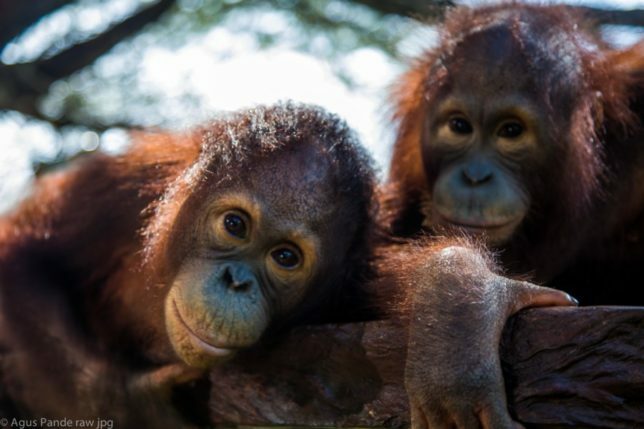 For the first time in Indonesia, award-winning Bali Zoo has launched a ‘Breakfast with Orangutans’ program that takes visiting the zoo to the next level. 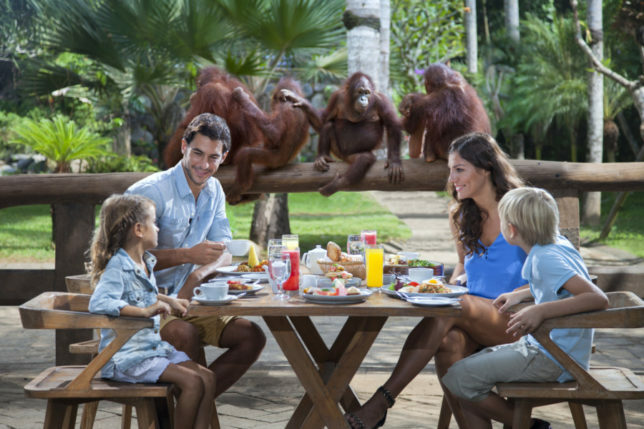 Now, you are not only able to breakfast like a king, but breakfast with one of the noblest creatures in the jungle – the charismatic orangutan. 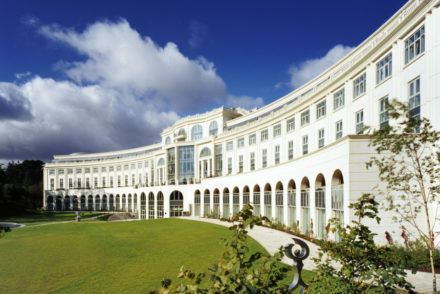 The package comes with a hotel pick-up straight to the zoo. Once arrived, you can breath the fresh air of Gianyar, feel the breeze, embrace the light morning fog, and hear the chirping birds as the zoo animals are just waking up ready to invigorate your senses for an amazing day ahead. The Zookeepers are on hand to guide you to see the playful orangutans enjoying their Kampung Sumatra playground by the zoo’s Gayo Restaurant which also allows you to witness the alluring beauty of Bali Zoo’s elephants relaxing in the Elephant Pool which is the largest of its kind in Indonesia measuring 1000 m2 fenced by a limestone relief wall inspired by the ruins of Angkor Wat. 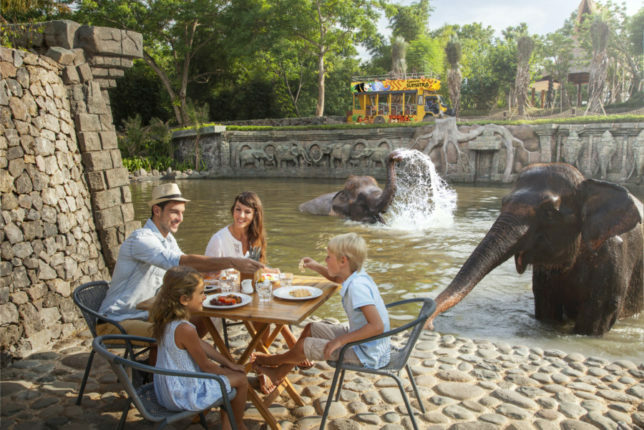 Located strategically in the heart of Bali Zoo, you can enjoy an open-air view of the elephant trail complete with its lush garden full of dazzling tropical birds. During your time at Gayo Restaurant you will enjoy a scrumptious breakfast served alongside the beautiful Orangutans and Elephants. 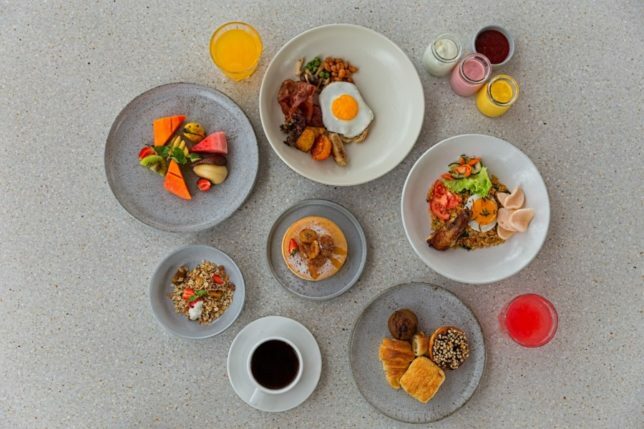 Your breakfast includes an assortment of refreshing tropical fruits and fruit juice followed by freshly baked bread and a choice of main courses ranging from traditional Indonesian breakfast of Nasi Goreng Fried Rice to the more Western style Buttermilk Pancakes, children-friendly breakfast cereals and much more. 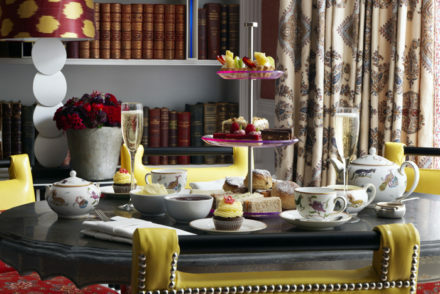 You will also be able to enjoy the unique flavour of Balinese coffee or traditional English Breakfast tea to complete a perfect ending to your breakfast dining experience. 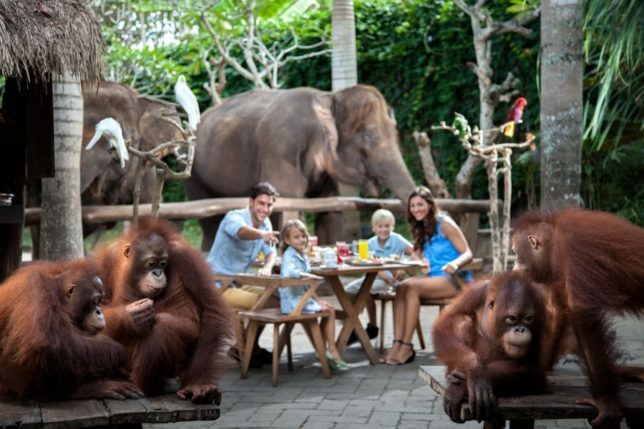 Although the Orangutans are the main charm of the experience, you will also be able to feed the elephants and get to hold and take pictures with the tropical birds before touring the rest of Bali Zoo. 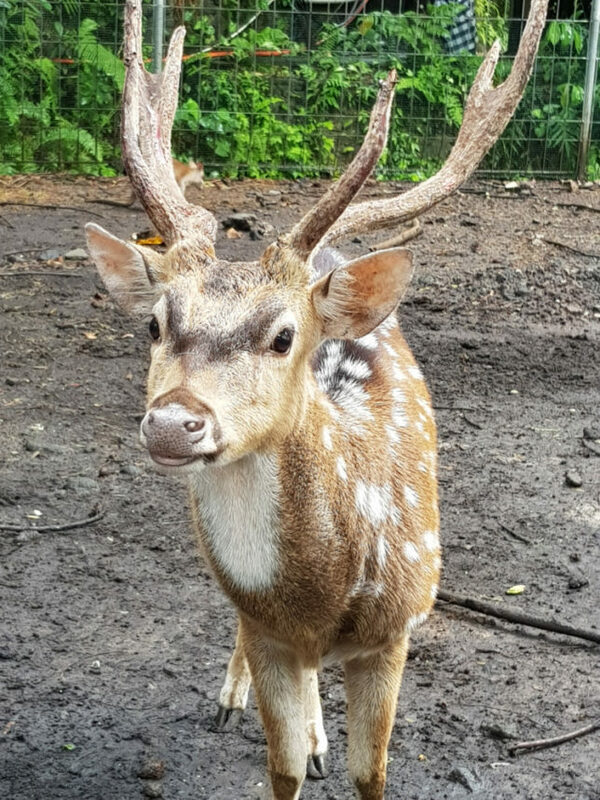 What better to start your morning than seeing the adorable animals of Bali Zoo who are guaranteed to make your your visit to Bali Zoo one you will remember with fond memories long after the wonderful day ends. We woke up to another beautiful day in Bali and this was to be an extraordinary one. 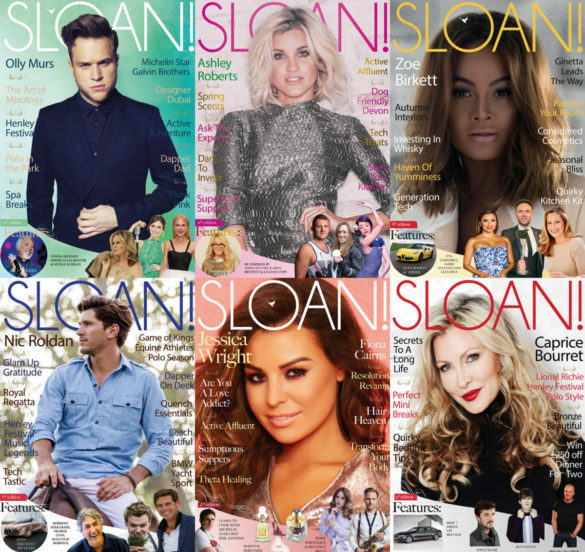 The SLOAN! team were picked up from our hotel at 7 a.m. for a personal meeting with one of the World’s most endangered species… the orangutan. 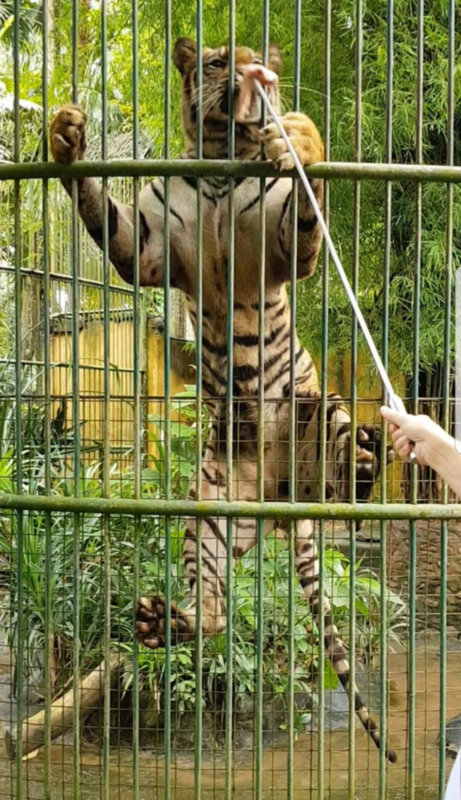 This was to be no ordinary day out and after a short trip in a beautifully air conditioned car we arrived at the entrance to Bali Zoo. After collecting our tickets we headed off towards the Gayo Restaurant in the zoo’s Kampung Sumatra area which is where the adventure really began. As we walked along, we were greeted by different species of deer and wallaby who were all eager to make our acquaintance. A little further on, we boarded the bus that took us northwest of the park past the Elephant Pool, from there we were able to cross a bridge taking us past some friendly Sumatran Elephants who were on hand for some photo opportunities and finally we arrived at the Gayo Restaurant for a satisfying breakfast to set us up for the adventures ahead. During breakfast we got up close and personal with two beautiful baby orangutans. They really were the stars of the show and certainly not camera shy! 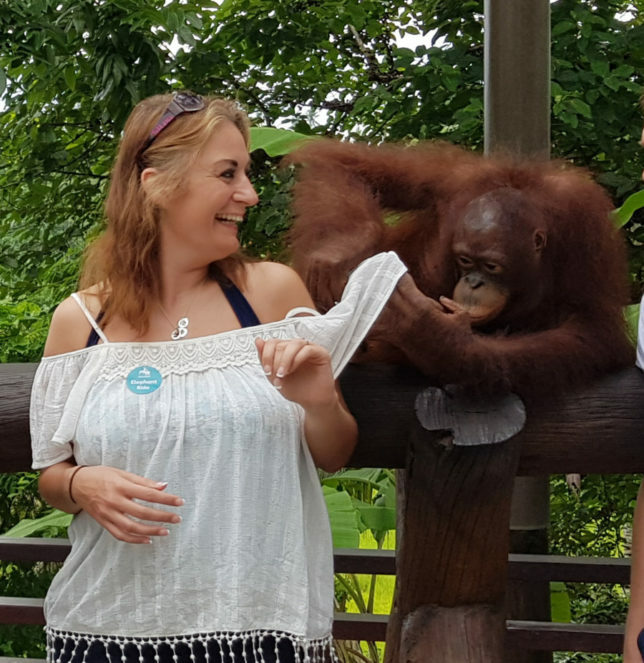 It was so much fun to interact with the orangutans who enjoyed feeding time with their human guests and were very happy with all the attention they were being shown. One baby orangutan however wanted a little bit more, deciding that he liked Sloan’s top so much it was his new must-have on his birthday wishlist! 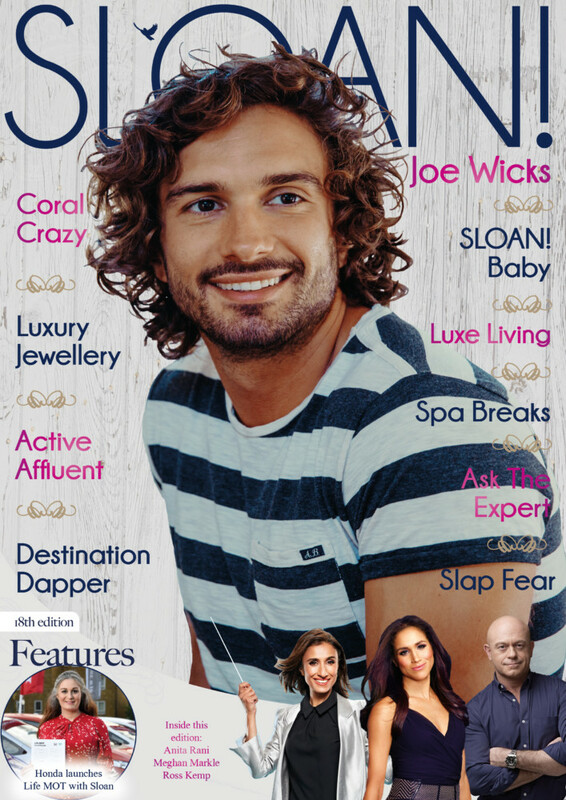 Did you know that oran gutans are the only genus of great apes native to Asia? 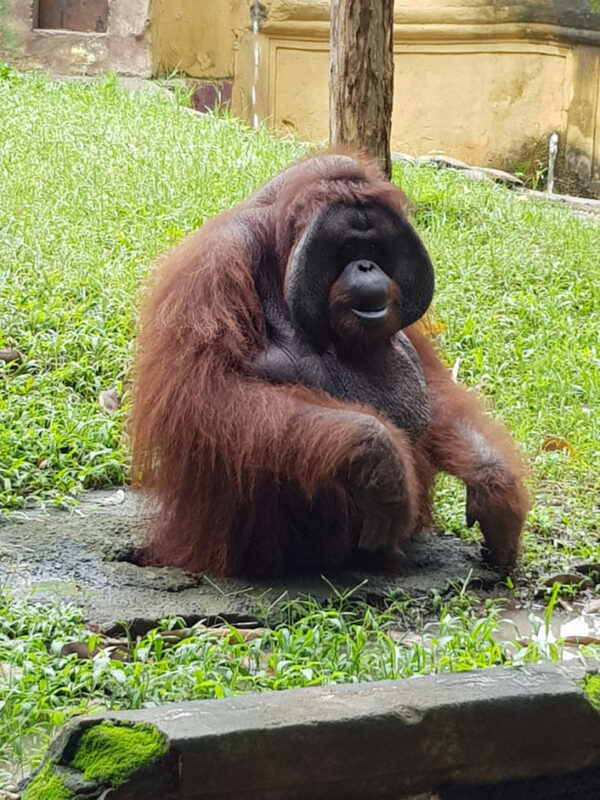 During our visit to Bali Zoo we also discovered other intersting facts such as, like other great apes, orangutans are highly intelligent, displaying advanced tool use and distinct cultural patterns in the wild. 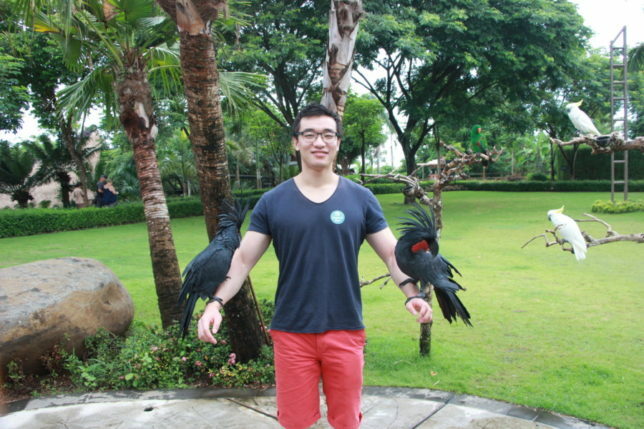 We also got to see an exotic bird show which brought us up close and personal with different species of cockatoo, parrots, an even an eagle! So far the experience had far surpassed any zoo we had ever been to. 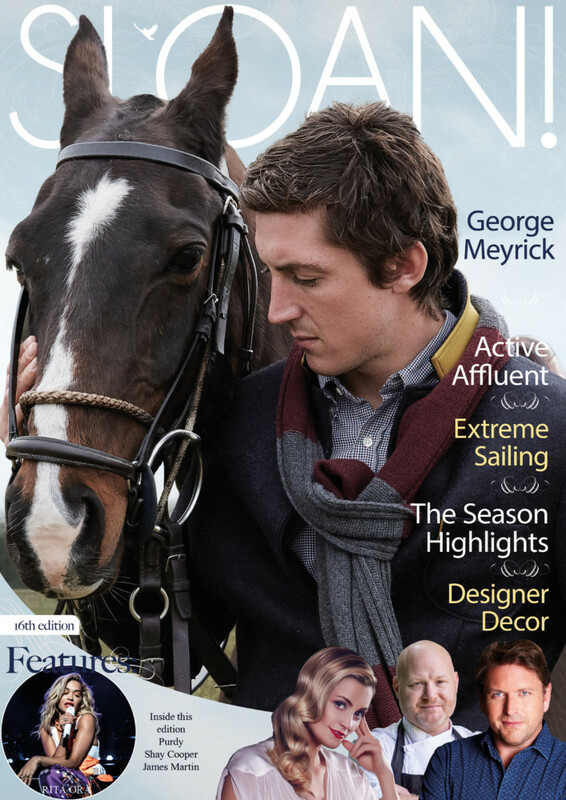 One of the things we really liked was the ethical way the animals were treated, and it was clear for us to see how happy they were with their natural characters able to shine through and develop as they interacted with us. 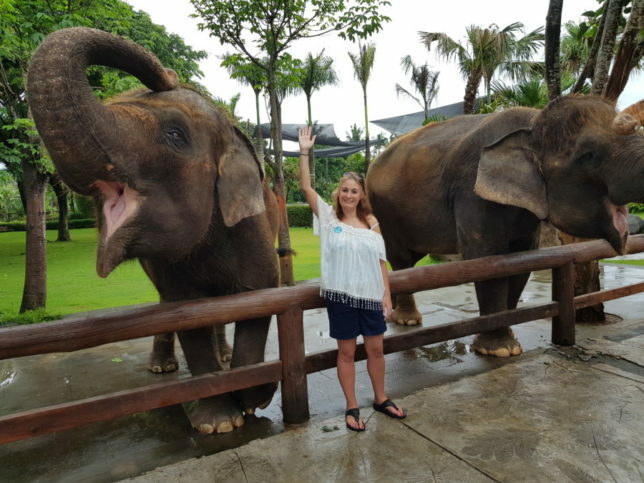 The next part of our adventure was to make our way to see Bali Zoo’s Sumatran elephants whom we had met that morning and this time they were the ones taking us on an expedition. 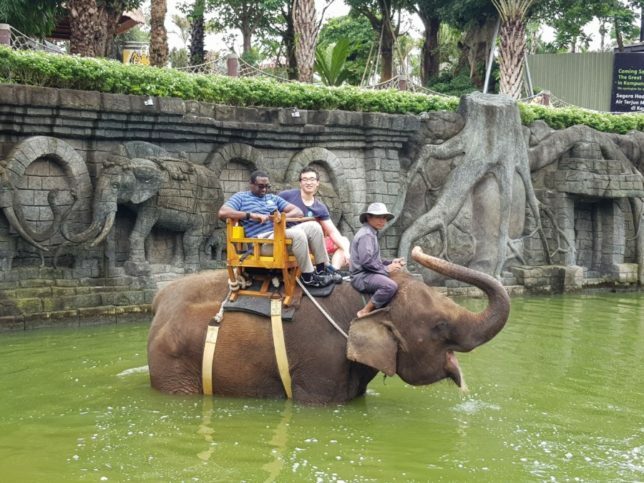 These critically endangered elephants live up to 70 years old on average and Bali Zoo is doing a wonderful job protecting these gentle giants. As we arrived we met Moli and her keeper, it was just a small hop from the top of the platform to the seat on Moli’s back and once our safety strap was clipped in we were of on our elephant safari. The expedition took us through the forest, onto a river crossing and finally into the elephant pool we had seen earlier. After such a fantastic morning we headed back to the jungle bus to take us to the main part of the zoo. 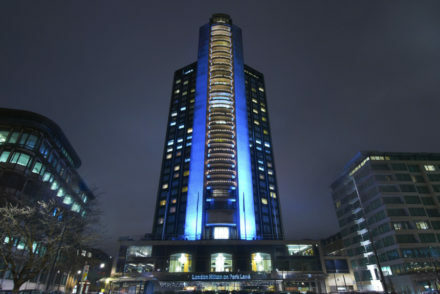 This is were you come up close and personal with many different species of bird, cat, monkey, reptile and marsupial. Our first encounter was the bloated cassowary bird. 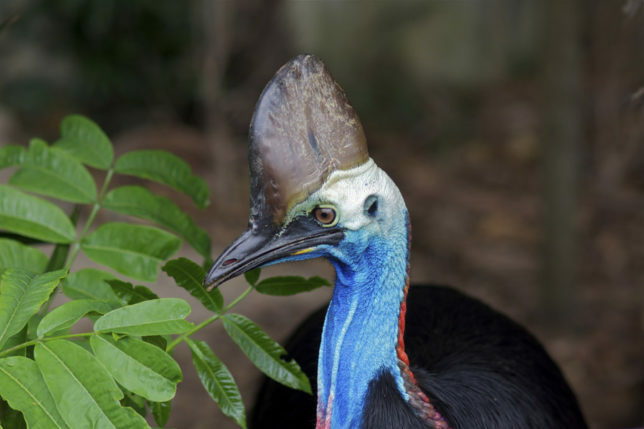 A cousin of the Ostrich and Emu the Cassowary is on the worlds most endangered species list with only around 1500 surviving in the wild. It can reach speeds of up to 50 kph through dense rain forest and is the most dangerous bird in the world. 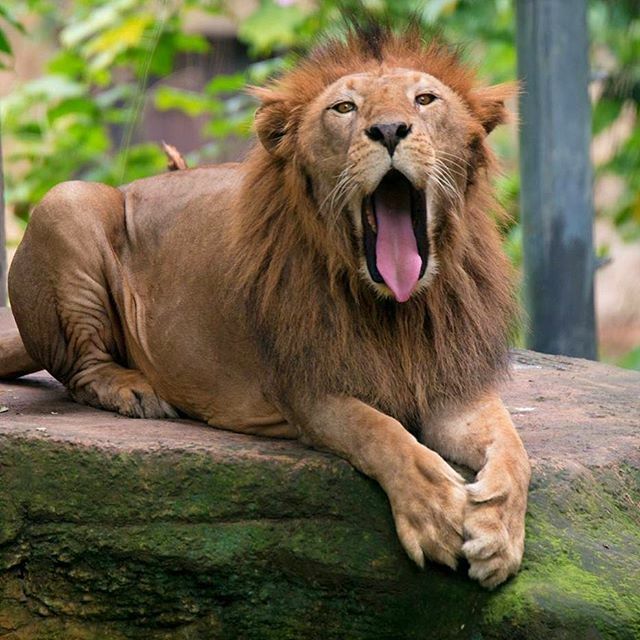 … or getting up close and personal with a Bengal Tiger then Bali Zoo is the place for you. Our favourite feeding attraction was the Bengal tiger enclosure. 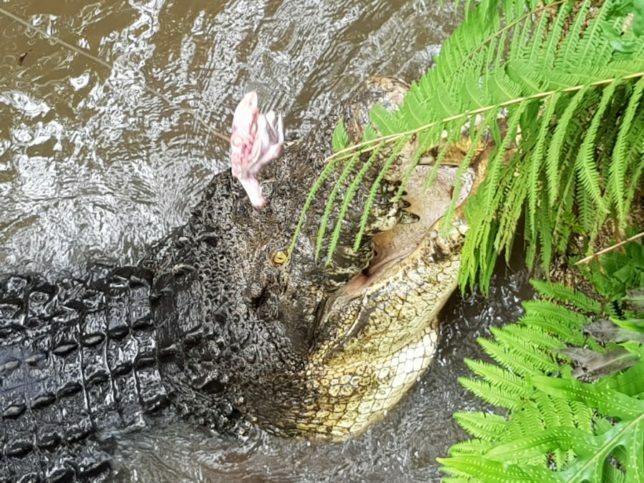 You really get to be feet away from this beautiful animal and get to experience first hand the size and shear power of this magnificent beast as is devowers the food you feed it. Another of the zoo’s great attractions is Jackie the Bornean Orangutan. 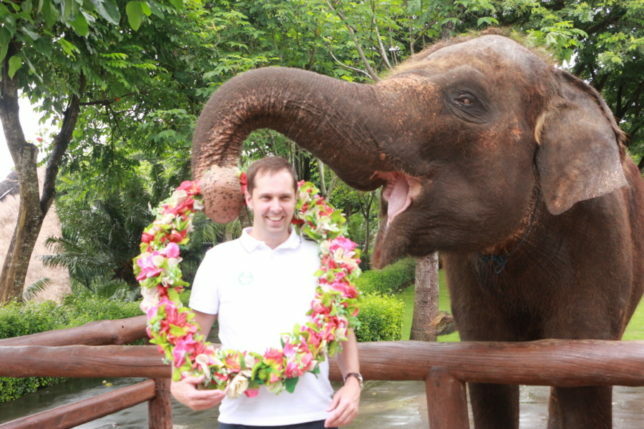 He is 35 years old and is in need of a new home so Bali Zoo are campaigning to raise money for him. I was fascinated to discover that this dignified gentleman of the jungle shares 97% of his DNA with humans! Bali Zoo looks after many other exciting animals and even has a petting area for young children. 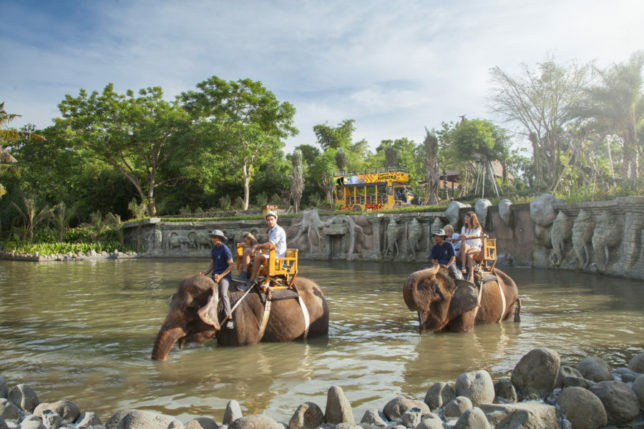 The zoo is perfect for families and is a must see for all those visiting Bali as it really gives you an experience you won’t get else where.